Continuing on with our series of the greatest engineering feats, this next instalment will be focusing on a more modern addition to the Tokyo skyline; the Tokyo Sky Tree. Located in the Sumida City Ward of the capital, the Sky Tree dominates the skyline and is a television broadcasting tower. Standing at 634 meters, it is the tallest building in Japan, and is currently the second tallest freestanding structure in the world; just under 200 meters shorter than the Burj Khalifa which is the tallest skyscraper in the world. 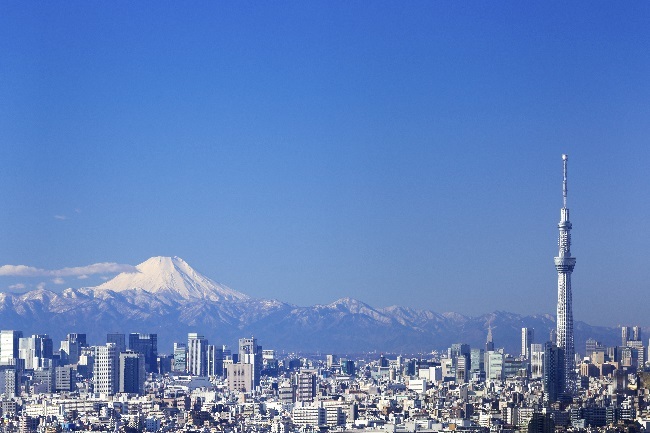 One of the highlights of the Sky Tree is its two observation decks, which allow for an amazing view over Tokyo. With the first deck situated at 350 meters and the upper deck at 450 meters, you will struggle to get a more intense view of the capital. Due to its massive size, the tower has become a popular venue for tourists and locals alike. With a shopping complex and aquarium at its base, people are encouraged to visit the skytree, and we can understand why! Some people may think the engineers were being a bit adventurous building such a tall building in Japan; a country which is prone to earthquakes. However, the engineers had already thought this through and came up with a design which would be as stable as possible. Incorporating a traditional Japanese building technique known as shimbashira seishin (central column vibration control), the engineers created a design which relies upon one central reinforced concrete column which is separate from the surrounding steel frame of the structure. The central concrete column is attached to the outer structure at 125 meters up to around 375 meters with oil dampers, which cushion the tower during an earthquake. The designers claim that in the event of an earthquake, the structure can absorb 50 percent of the quakes energy. Once again, we are in awe at what engineering has accomplished so far, and we can&apos;t wait to see what the engineers of the future are going to come up with! At European Springs, we’re passionate about all things engineering and are proud to be leading spring manufacturers and providers of the highest quality products to the engineering industry. If you would like more information on any of our products or services, don&apos;t hesitate to get in touch with us today by calling +44 (0) 208 663 1800 and one of our friendly team members will be happy to help you.